Property 1: The Cabin - Lake Views!! WiFi! Bravo Big Bear Lodge Two - Adorable Cottage. WiFi! Walk to the Lake and Village! Property 7: Bravo Big Bear Lodge Two - Adorable Cottage. WiFi! Walk to the Lake and Village! Mountain view, family-friendly cabin near hiking, sledding, and the slopes! Property 8: Mountain view, family-friendly cabin near hiking, sledding, and the slopes! Property 9: "The Romantic Mountain Getaway" - Includes Breakfast! Our own Farm Fresh Eggs! Large loft, living room, deck -WiFi -Pets OK -Cozy & Peaceful -Great location! Property 10: Large loft, living room, deck -WiFi -Pets OK -Cozy & Peaceful -Great location! Little Bear - Smart TVs with Netflix, WiFi! Walk to Lake and Marina! Property 11: Little Bear - Smart TVs with Netflix, WiFi! Walk to Lake and Marina! Property 12: Dog-friendly cabin with a spacious deck and outdoor seating! 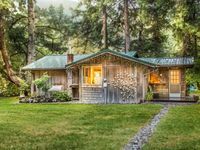 Property 13: Strawberry Creek Cabin – 5 Mins From the Beach! Baby Bear - Smart TV with Netflix, WiFi! Walk to Lake and Marina! Property 14: Baby Bear - Smart TV with Netflix, WiFi! Walk to Lake and Marina! Rent This Special Cottage for Only $79 a Night! Property 16: Rent This Special Cottage for Only $79 a Night! Romantic hide-a-way for two in our secluded canyon. Please see our reviews. Property 18: Romantic hide-a-way for two in our secluded canyon. Please see our reviews. 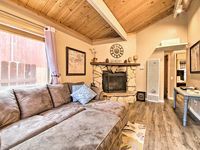 Property 26: Bearstone Cabin Adorable Awesome Updated Great Location South Lake Tahoe Ca. Property 28: Wildflowers and waterfalls abound! Property 31: Morro Bay Front Dream ⚓️ Overlooking Morro Bay & Bird Preserve - Pet Ok! Property 34: Beautiful , Private , Coastal Cottage. Walk to Casinos - Shopping - Gondola - Everything! Property 41: Walk to Casinos - Shopping - Gondola - Everything! Bear Cabin Retreat - WiFi, Pool Table, Ping Pong, and Air Hockey! Walk to Park! Property 45: Bear Cabin Retreat - WiFi, Pool Table, Ping Pong, and Air Hockey! Walk to Park! Property 50: Murphys Poolside Cottage. Great cabin. Very clean and had everything we needed. Love it and would definitely stay again. Perfect for our group of 4 adults.